A mud agitator is one of the most commonly-used solid control equipment. It is used to continuously mix the drilling liquid with impeller evenly and make the cuts suspend in the drilling liquid. Our drilling mud agitator adopts SEW reducer with German technology. It has the features of being effective, compact, powerful, and easy to maintain. 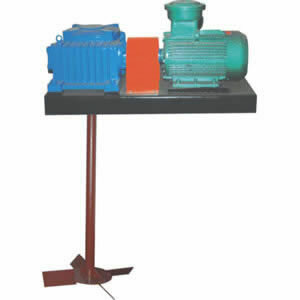 Rugao Yaou Company is a mud agitator manufacturer and supplier based in China. Our specialized products include oil drilling tools, solid control equipment, well cement tools, workover tools, and more. Due to our continuous efforts, our petroleum equipment is safe to use and features reliable quality and long life. Welcome both national and international customers to contact us for more information on our oil drilling equipment.